aus dem tierlosen Nichtraucherhaushalt inkl. FB, Papieren und Verbindungskabeln. Die Anlage ist optisch aufbereitet worden und befindet sich in sauberem Zustand. Funktion ist geprüft und gegeben. Nähern Sie Ihre Hand der BeoSound 4, so bewegt sich die dunkle Glastür sanft nach oben und gibt den Blick auf die Funktionstasten und Drehräder des Bedienfeldes frei. Wählen Sie CD und die Glastür öffnet sich noch weiter und der CD-Clamper reckt sich Ihnen entgegen. Auf dem Graphik-Display werden sämtliche Funktionen in fortlaufendem Text gut verständlich dargestellt, so dass Sie in Kombination mit den Drehrädern und Funktionstasten des Bedienfeldes alle Musikoptionen einfach und intuitiv steuern können. Neben den Menütasten steht Ihnen auch das Drehrad mit Klickfunktion zur Verfügung, um Ihnen schnellen Zugang zu zahllosen Informationen zu bieten. Wenn die BeoSound 4 nur auf ihrem runden Aluminiumsockel auf einem Tisch oder in einem Regal steht, ist sie aus jedem Blickwinkel der Inbegriff schlichter Eleganz. Abgesehen von CD, FM und dem optionalen DAB-Radio umfasst die BeoSound 4 außerdem eine integrierte Speicherkartenfunktion, die eine direkte Aufnahme von Musik sowie den Transfer und die Wiedergabe digitaler Dateien von Ihrem PC ermöglicht. Nachdem Sie Ihre Musik auf der SD-Speicherkarte aufgenommen haben, können Sie sie auch mit MP3-Playern abspielen, wo und wann immer Sie dies wünschen. Außerdem können Sie einen externen Musikplayer wie beispielsweise einen iPod direkt an die BeoSound 4 anschließen. BeoSound 4 is a new audio product offering a complete audio experience. It has a CD player, FM / DAB radio and built-in SD memory card reader / writer. The DAB module will be included as standard for the UK and Irish markets is actually a factory-fitted option for any other markets. 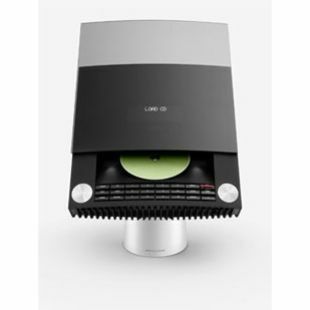 The unit is a full Audio Master (N.Music and N.Radio compatible) and can therefore be used to distribute sound through users' BeoLink systems. The new feature introduced on BeoSound 4 is the SD memory card reader / writer. This function replaces that traditionally provided by the audio cassette tape. The user can copy music from a CD or the Radio directly onto the memory card which will be compressed at 128kbps. The card can then be used in other compatible products such as BeoSound 2 and BeoSound 3. As it is possible to copy music onto a memory card using only BeoSound 4, this now offers access to digital music to a much wider audience – even those who do not own a computer. However, music can also be copied from a computer directly onto the memory card, be removed and then played back on BeoSound 4. 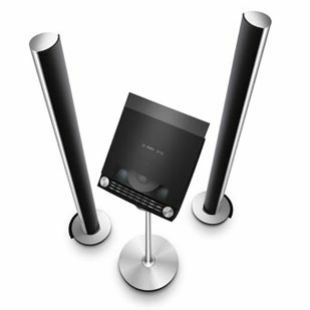 BeoSound 4 can be placed on a table or shelf as it is a free-standing product. Alternatively it is possible to mount it on a Floor Stand or on a Wall Bracket. 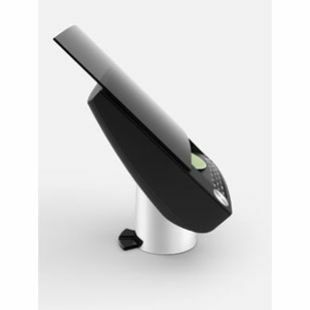 From launch, BeoSound 4 could be wall mounted or positioned on a floor stand. The floor stand featured a turned stainless steel column which could not hide the connection cables. This solution was not a popular choice. STBbrackets, Bang & Olufsen's preferred supplier for brackets and stands, made a pair of adapter plates to allow BeoSound 4 to be floor mounted with concealed cables. Distributed throughout the World by the Bang & Olufsen store network, the STB solutions add to the diversity of mounting options and positions available. This adapter plate enables cables from Bang & Olufsen BeoSound 4 to be concealed within its floor stand. Bang & Olufsen continues to surprise and delight music lovers with the new BeoSound 4, a compact audio system that exploits digital music storage and portability while offering the quality performance and usability expected from a traditional Bang & Olufsen audio system. BeoSound 4 will be available from November/December 2005. 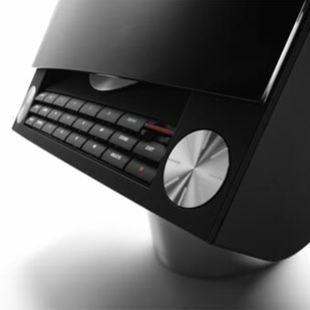 BeoSound 4 is an audio system with built-in CD player, FM radio, and SD (Secure Digital) card slot. DAB radio is also available as an option, factory fitted. It is possible to record from the radio or CD to the SD card and play back the recording on BeoSound 4, or on another portable or stationary system. Bang & Olufsen’s well-known BeoLink system ensures the total integration of all entertainment at home, and BeoSound 4 offers the additional advantage of being able to send music played back from the SD card to loudspeakers throughout the house. The SD card increases flexibility in other ways as well, allowing the user to listen to recorded music in the garden with the new BeoSound 3 portable audio system or away from home on the BeoSound 2 digital music player. BeoSound 4 can be placed almost anywhere on its floor, table or wall stand. Angled for convenient operation, the glass door half-opens at the wave of a hand, and the operation panel with SD card slot is presented to the user. Press ‘Load’, and the glass cover rises further for the CD loader. Connect BeoSound 4 to any BeoLab loudspeakers, and in particular with the new and equally compact and refined BeoLab 4 loudspeakers. With a price that lies under what is usually expected of a Bang & Olufsen product, Bang & Olufsen expects that BeoSound 4 will capture a lot of interest from first-time buyers in the market. The digital portability offered by the SD card built into BeoSound 4 is consistent with Bang & Olufsen’s strategy to ensure that wherever the company’s customers may be, they can have their entertainment choices with them. “With BeoSound 4, we have succeeded in building an audio system that lives up to the very high standards expected from Bang & Olufsen, from the idea behind the concept and design to the choice of materials and craftsmanship – and not least the ease of use and performance,” concludes Michael Jensen, Product Manager, Bang & Olufsen. (with RDS) and DAB (optional)	Compact disc naming (200 titles), random, repeat.